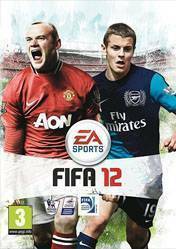 FIFA 12 (titled FIFA Soccer 12 in North America) is the nineteenth game in Electronic Arts' FIFA series of association football video games. It was developed by EA Canada, and published by Electronic Arts worldwide under the EA Sportslabel. David Rutter, the line producer for FIFA 12, promised "a revolutionary year for FIFA ... especially in the gameplay department. An "Ultimate Edition" of the game will be available through Game and Gamestation stores. It includes four monthly Ultimate Team gold packs, with each pack containing 12 items including players, contracts, stadiums, managers, staff, fitness, healing, footballs, kits and badges. Each pack contains one rare item, such as enhanced player attributes, longer contracts and the most coveted players. On 22 June 2011, EA Sports announced that the Microsoft Windows version of FIFA 12 will have the same engine, features, and competitions as the PlayStation 3 and Xbox 360 versions.